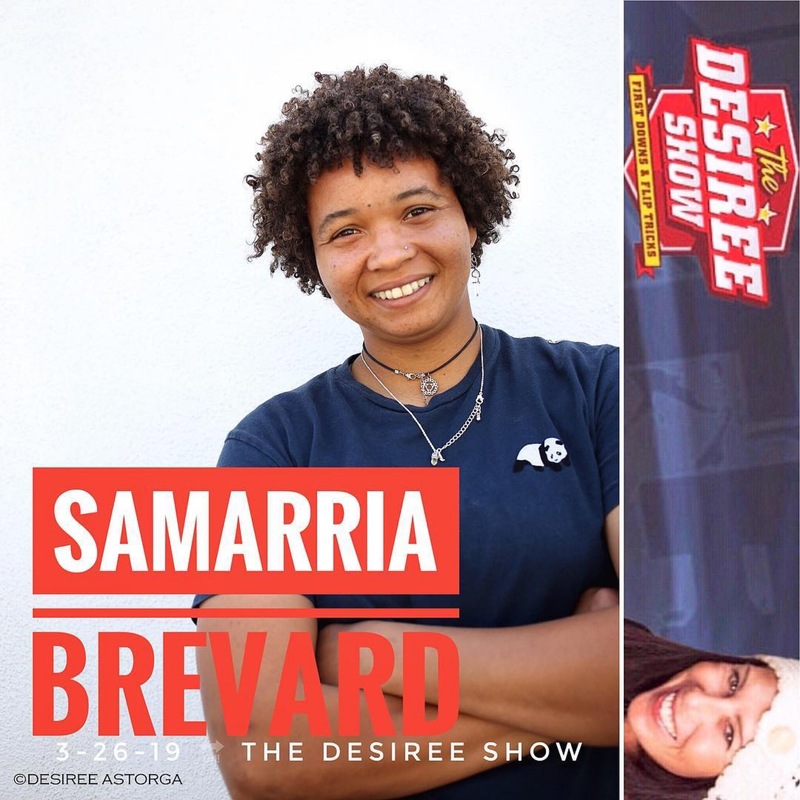 Desiree welcomed Enjoi team rider Samarria Brevard to the Dash Radio studios on March 26th, 2019. Samarria is fearless on her board charging and landing everything while having a quiet humility and lets her skating do the talking! She’s got some serious game on the courts, too! ‘The Humbler’ ( AKA Samarria) shares the rad story and surprise of turning pro for Enjoi, monumental moments, her fav basketball player, first board, skating handrails, being a surprise guest on KOTR 2016, some life lessons, X-Games Real street part along with how music helped her through some adversities and a lot more!! The Desiree Show is for better or worse always raw and unedited! The Desiree SHOW airs on Dash Radio on Wednesday’s 4-5 PM PST, Friday’s 7-8 AM PST, Make sure to follow her on IG for upcoming guests, BTS and different locations @desiree_astorga on IG/ Tw and @TheDesireeSHOW on IG, @TheDesiree_Show on Tw.